Rose Gold Gemstone on white tissue paper by the bulk ream. 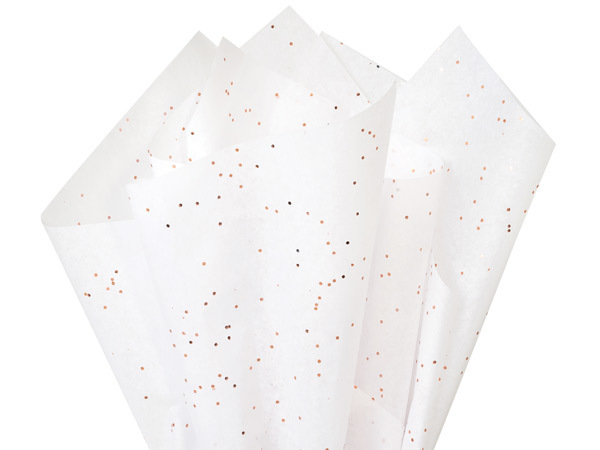 White tissue tissue paper with rose gold color glitter is perfect for wedding and birthdays. Made in the USA.